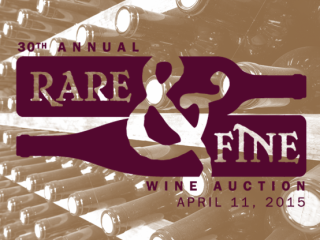 Commemorate 30 years of charitable giving with The Wine & Food Foundation of Texas during the 30th Annual Rare & Fine Wine Auction. The evening will begin with a sparkling reception where guests will be welcomed by renowned winemaker Anne Moller-Racke pouring selections of The Donum Estate's highly regarded Pinot Noir and Chardonnay wines. After that, guests will be seated for an elegant four-course dinner accompanied by an impressive wine selection presented by a team of Austin's best sommeliers. The highlight of the evening will be the live auction, where spirited bidders compete for rare and fine wines as well as other luxury packages in support of The Rare & Fine Wine Auction's 2015 beneficiaries.